...... Embed all images into Word document and no external files are required. 2) Keep the images in the generated Word document. 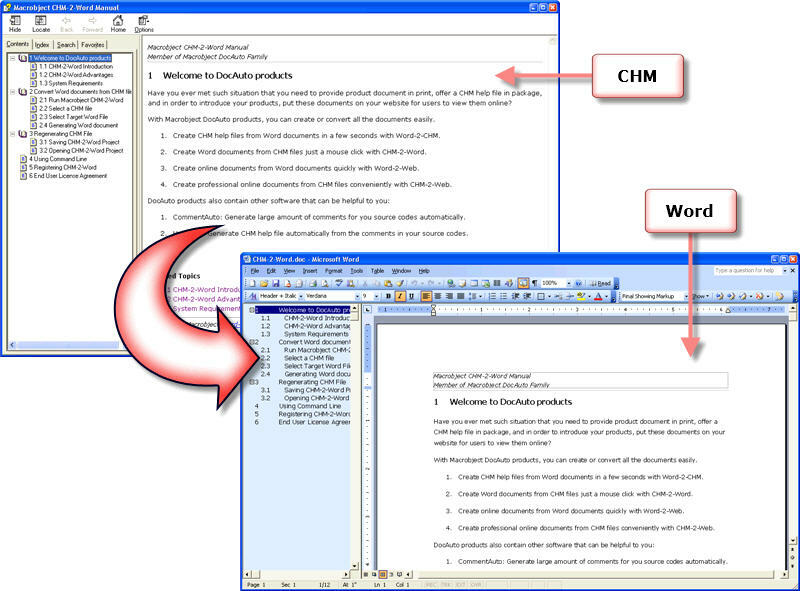 Qweas is providing links to Macrobject CHM-2-Word 2009 Professional 2009.2.1105.139 as a courtesy, and makes no representations regarding Macrobject CHM-2-Word 2009 Professional or any other applications or any information related thereto. Any questions, complaints or claims regarding this application Macrobject CHM-2-Word 2009 Professional 2009.2.1105.139 must be directed to the appropriate software vendor. You may click the publisher link of Macrobject CHM-2-Word 2009 Professional on the top of this page to get more details about the vendor.